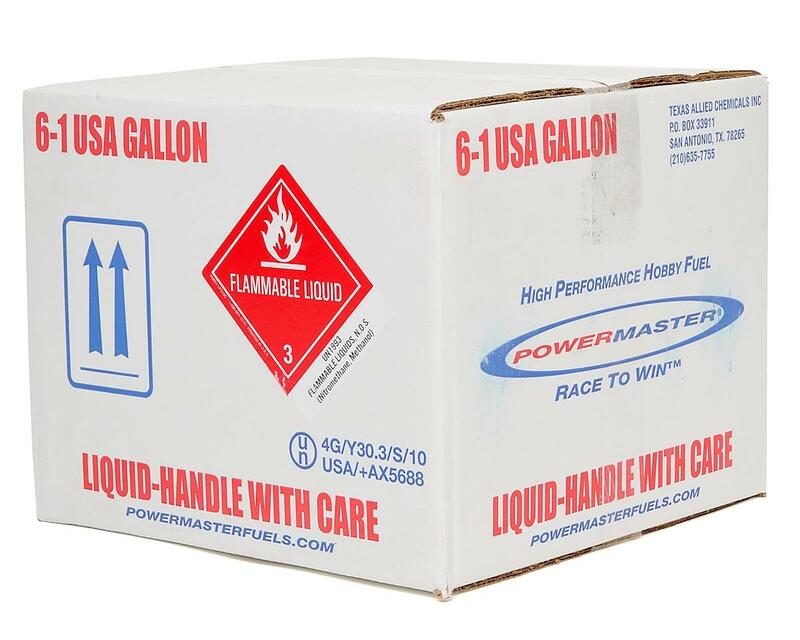 This is a six gallon case of PowerMaster Boat Formula 40% Boat Fuel. 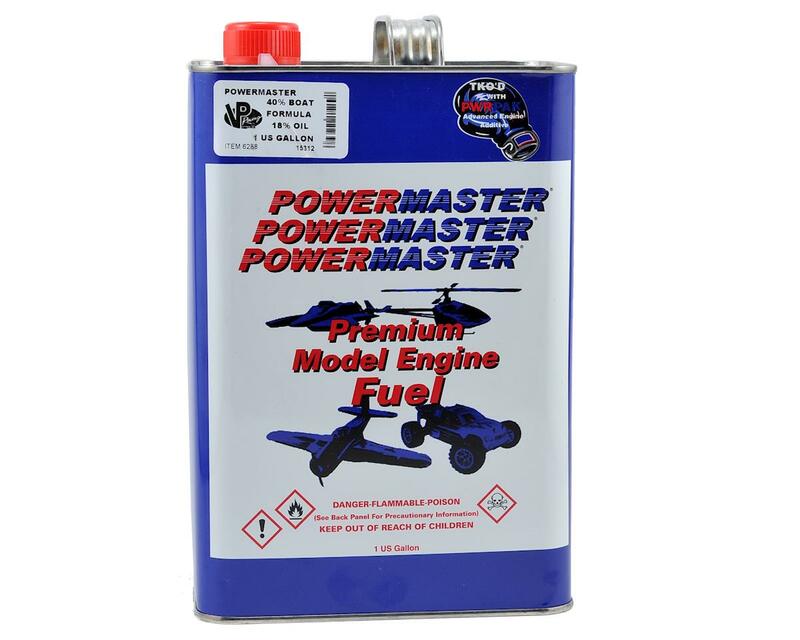 PowerMaster Boat Formula was developed by VP Racing Fuels to be THE answer for your boat racing needs. Boat Formula fuel is formulated with a high-performance castor/synthetic oil package for incredible rpm and power gains without sacrificing reliability. The same quality and performance standards are found in every boat blend. NOTE: Due to regulations from the federal government's Environmental Protection Agency (EPA), our fuel shipper assesses a surcharge above and beyond the standard shipping charge for each 6 gallon case of fuel ordered. This charge will be included in the shipping charges for the fuel.